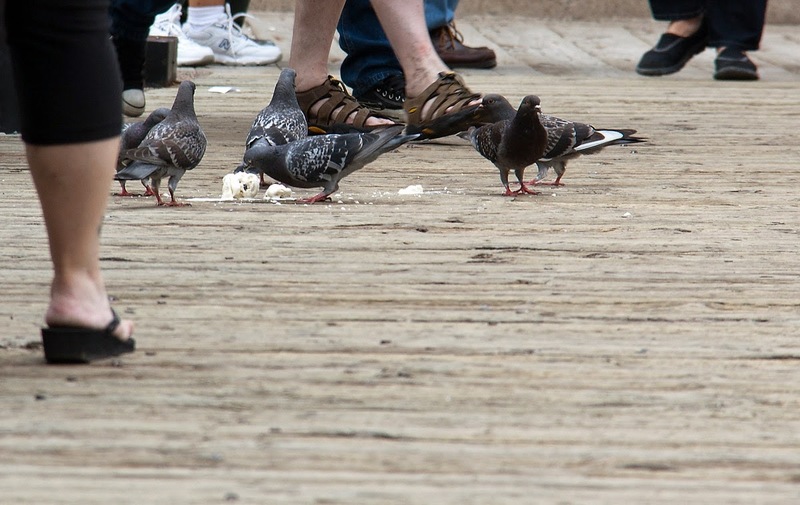 Watching pigeons eating ice cream is a first for me. Hi! :) Pigeons and seagulls will eat most things we drop. Nice shot! A wide variety of shoe styles! That would be a first for me too. Pigeons eat anything. I can see it here at the market square. One wonders what they must be thinking of the stuff. Never seen that before either. I wonder if they get "brain freeze". I had no idea they'd eat ice cream!